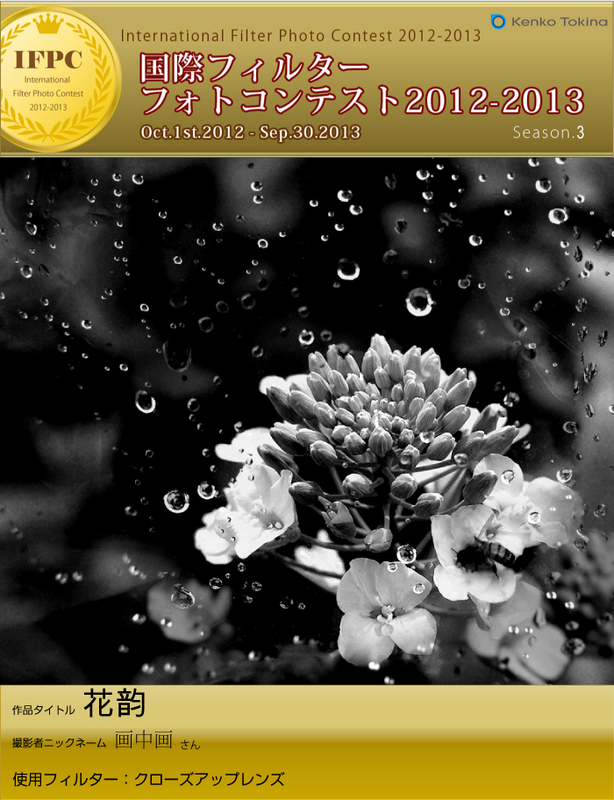 As the Special Prize of Season 3, International Filter Photo Contest 2012-2013, "花韵" of 画中画 from Chaina has been selected. SLIK Tripod CARBON 724 EXIII will be sent as an award. We are now waiting for your entry at the International Filter Photo Contest 2012-2013.